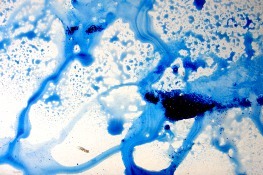 On this page you will learn different watercolor painting techniques which are used to create effects other than what washes can accomplish. Below are the techniques that you are most likely to find useful—in addition to basic washes. You use a stiff brush with very little water to achieve a rough, textured appearance. The rougher the paper, the more texture you can obtain. Note that it is almost impossible to apply this technique to hot pressed watercolor paper. 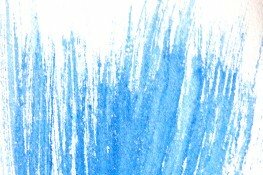 Hold your brush parallel to the paper so that the paint stays on the “hills” of the paper (and avoids the “valleys”). Almost any shape of brush will work, but in my experience, the large flat ones work best. This technique was more popular with earlier known watercolor artists such as David Cox(1783-1859) and William Holman Hunt (1827-1910). 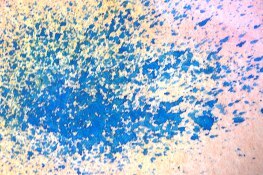 You apply the paint with a pointed brush by gently tapping on the paper (like a tap dance). You can use other tools like a sponge or a crumpled paper to achieve similar effects. You can also fan a small brush with a short stroke to paint blades of grass. The technique is similar to stippling, except that the shapes have a little more definition and character. You load a copious amount of paint into a used toothbrush or a pointed round brush. Hold the bristles up and away from you to prevent the paint from getting on your clothes. Then hold the brush above the area where you want to apply paint and strike the brush against the handle of a second brush. The use of the second brush allows you to create spatters that are more rounded and controlled than if you whip the brush around by itself. Make sure you mask or cover the areas you don't want to get spattered. Sprinkle a little refined salt on a damp wash and wait a few minutes. The darker the paint, the more pronounced the textures. After the paint is dry, gently loosen the remaining salt crystals with a sponge, and then brush them away. You have to practice a lot in order to learn the right proportions of salt. There are some other techniques using cheese cloth or plastic wrap that will create interesting textures. 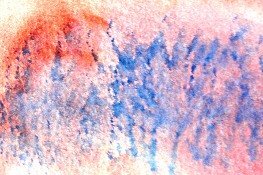 click here to learn more watercolor painting techniques of that sort and expand your watercolor skills! Can't find what you are looking for? Try the search box below. 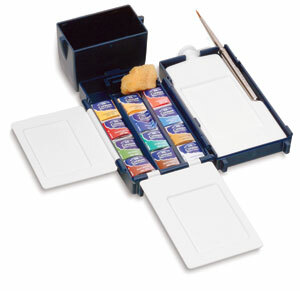 Click here to grab Artists' Watercolor Compact Set on the go! Yes, you can learn to draw ONLINE NOW!